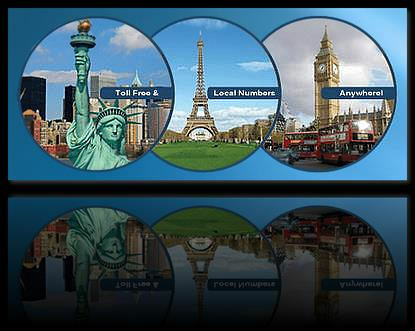 South Africa Virtual Number enables International Call Forwarding from South Africa to any other phone in any country. Create a phone presence in South Africa without a brick and mortar location and redirect your South African callers to any country. Stay connected with South Africa associates, customers or friends with a South Africa Virtual Number. South Africa virtual number enables International Call Forwarding from South Africa to any phone, in any country. Utilize a South Africa virtual number to divert calls to any country. Choose from South Africa Toll Free numbers and local city numbers. Includes voice mail, fax to email, customer control panel and many more included features. According to the CIA Factbook, The South Africa telephone system is the best developed and most modern in Africa. The teledensity is roughly 140 telephones per 100 persons; consists of carrier-equipped open-wire lines, coaxial cables, microwave radio relay links, fiber-optic cable, radiotelephone communication stations, and wireless local loops; key centers are Bloemfontein, Cape Town, Durban, Johannesburg, Port Elizabeth, and Pretoria. 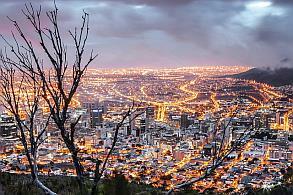 South Africa’s telecom sector boasts one of the most advanced infrastructures on the continent. There is now considerable investment from Telkom, Liquid Telecom South Africa, Broadband InfraCo and municipal providers. Nevertheless, the poor historic availability and level of service of fixed-line networks encouraged the growth of the mobile sector for both voice and data services and this segment commands most investment and effort among telcos. Under a converging regulatory regime hundreds of alternative service providers have been able to enter the market to offer a range of services. Other key regulatory matters aimed at shaping the market include the licensing of LTE spectrum. This was anticipated in late 2016 but in February the auction of spectrum in several bands was put on hold indefinitely. This has caused some difficulties for mobile network operators, which are desperately short of spectrum and which have had to rely on spectrum refarming and other measures to increase network capacity. To create more competition, the government created Broadband InfraCo, a national infrastructure company to provide cheap backbone network capacity to service providers. In September 2017 the government considered a plan to merge Broadband Infraco with Sentech's satellite service to create a national broadband network managed by a single broadband provider. The mature mobile market has seen rapid growth since competition was introduced to the sector in the 1990s. SIM card penetration by late 2017 was approaching 143%, driven partly by the popularity of multiple card use as also by the take-up of mobile broadband services. Mobile internet accounts for about 95% of all internet connections, and with about 94% of the population able to access WiMAX/LTE services this sector will continue to see strong growth in coming years.